My name is Debi Lilienthal; I’m a long-time educator and am one of the Directors of Bridges & Beyond. 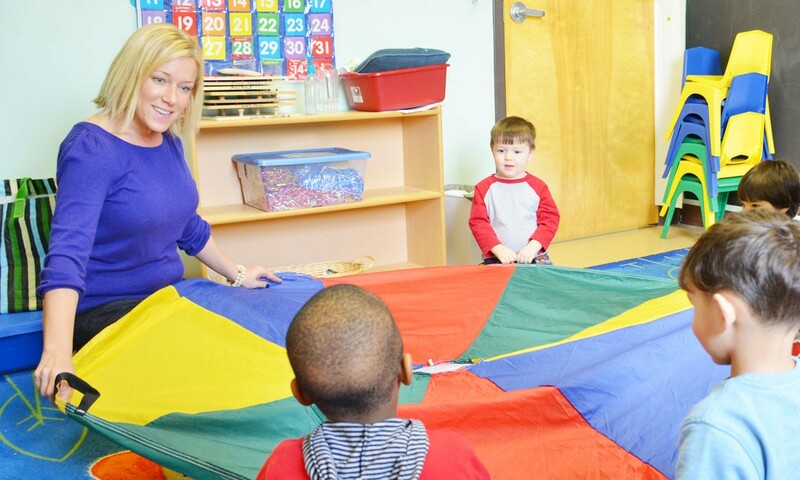 As a program, we offer a center-based program – that’s our on-site preschool program. We also offer community based educational and therapeutic services for children with special needs; those services are directed by my partner, Lori Lewis. I am so excited that you have decided to explore Bridges & Beyond via the web! I encourage you to take a look at our mission, values, curriculum, and practices. We’ve included our current Parent Handbook, which outlines our policies and procedures; if you’re seriously considering Bridges, you may find that helpful. 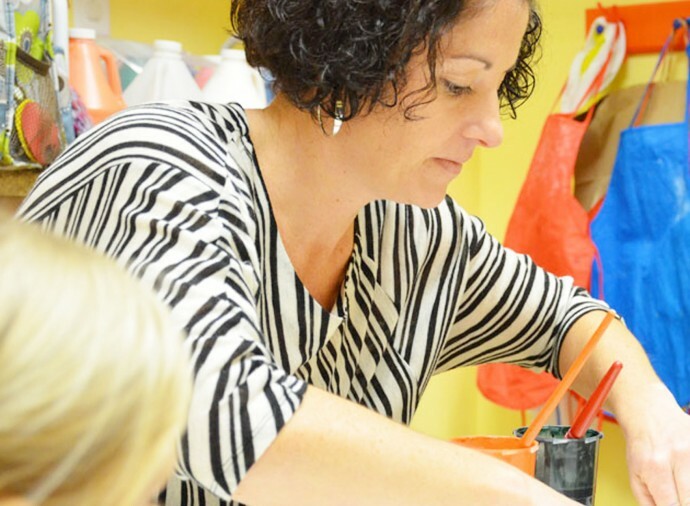 I think you’ll find that Bridges & Beyond is like no other preschool in the North Raleigh / Wake Forest area. Bridges provides a very intimate setting with low teacher to child ratios. Here, at Bridges, your child will have multiple opportunities to explore new surroundings and discover their sense of wonder. Along with my amazing staff, we believe the best way to enhance a child’s learning is through play. If you are ready to have an adventurous learning experience at Bridges & Beyond, please feel free to call me or stop on by so you too can……grow, share, experience, learn and most of all…. join in on the fun! 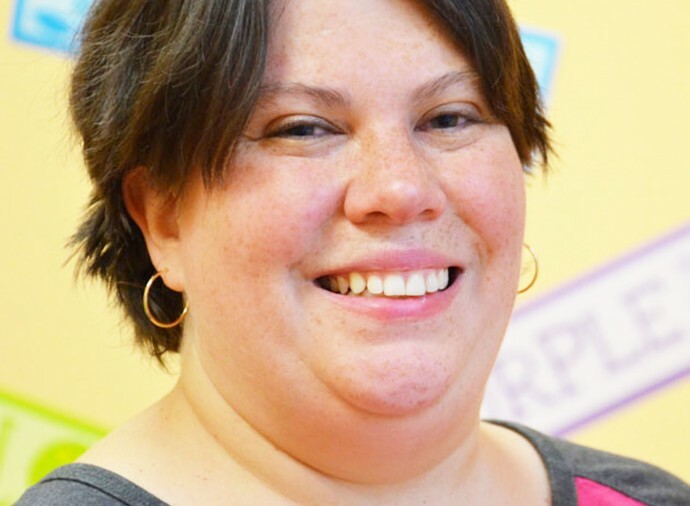 Hi, I’m Lori Lewis, and as the Community Services Director, I oversee the Bridges & Beyond Community Based Rehabilitation Services (CBRS) and Early Intervention programs. At Bridges & Beyond, we believe that all children can learn and grow within the right environment and with the proper support. 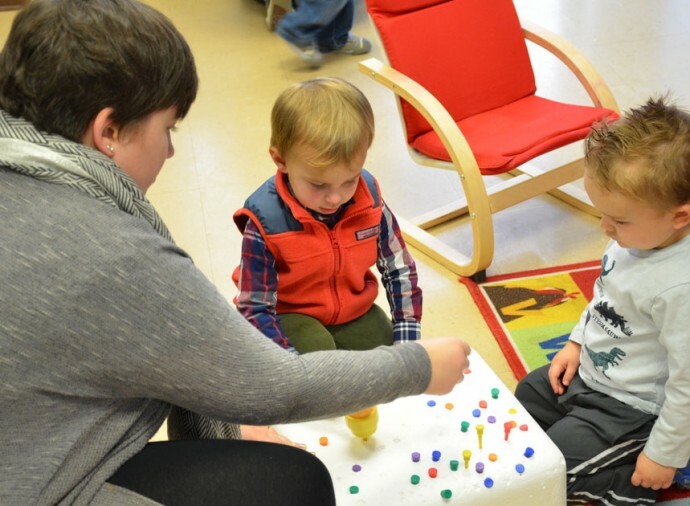 I’m proud that in addition to our campus location, we’re able to offer educational and therapeutic services to children across a broad region of North Carolina. Counties served include Wake, Chatham, Durham, Orange, Person, Granville, Vance, Franklin, Warren, Northampton, Halifax, Nash, Edgecombe, Wilson, and Johnston. Our certified therapists currently service over fifty children across the region. We are happy to hold sessions in-home or on-site, depending on the individual needs of each child and family. I am available to answer any questions you might have; please reach out if you would like more information: lori@bridgesandbeyond.com. Our intention is to offer a program that surpasses your expectations. We know that your child’s early childhood education is very important to you. It’s important to us, too. We want your child to have fun, learn a lot, and leave us ready for kindergarten. Our program is designed to inspire all-around growth, so that our kids graduate with a strong sense of self, solid social skills, and all the knowledge they’ll need for the next chapter of their academic careers. At Bridges, we do things a little differently. Among other things, you’ll notice that we keep our class sizes very small and rotate learning environments with our kids throughout the day. We honor this approach to teaching, and reflect many “Reggio” characteristics in our own specialized Bridgekids Curriculum. Specifically, we reflect the values of organized and appealing classrooms, areas for mixed-age play, attention to documentation that is then displayed, exploration and problem-solving as important avenues of learning, and exemplary opportunities for expression through artistic “languages” like painting, sculpting, collage, drama, and music. As a preschool, we want to give all children access to a great quality start to their academic careers. We provide a fun, challenging environment for all kids to learn and grow. 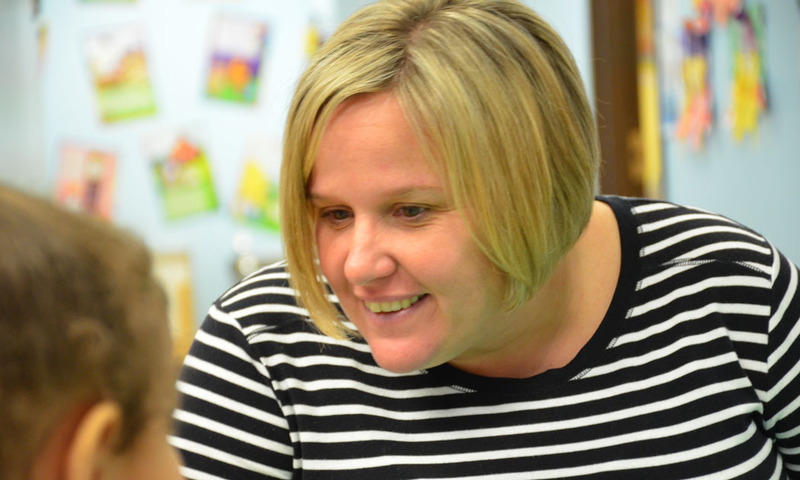 Our teachers are equipped to work with students at all skill levels. We value an inclusive atmosphere, where kids with different skills and abilities can learn side-by-side and from one another. You can read articles related to inclusion at www.naeyc.org. Children acquire skills at different rates. We will strive to address needs and engage interests at the individual child’s level of development. This supports children in reaching their fullest potential. We believe that children learn best through hands-on experiences, and when they feel safe to explore and manipulate. Using developmentally appropriate practices our teachers help to ensure this success! In addition, conscious planning ensures that students are introduced and engaged in social skill building, language, literacy, and early math skills daily. Parents are always welcome in our groups. Furthermore, we encourage parents to volunteer once per month by signing up to assist in a group, but we understand that other children and work schedules may make this difficult. Please keep in mind that our ability to keep our group sizes small while offering competitive tuition rates is possible only with a successful parent volunteer program. We will ensure that children are introduced to learning in a way that is non-threatening and fun, because early childhood is a critical period for brain development as well as for literacy development. Teachers will plan together in order to provide learning experiences that will introduce early learning concepts, but most importantly, will build upon the interests of the children. Children thrive when they feel competent and confident in their surroundings. Bridges and Beyond aims to be a setting that will allow children to help make decisions that influence their time with us. While we believe that teachers should also guide children, we think that for children, maintaining some control fosters independence and self-esteem. So much of our success is our excellent TEACHERS! We value our teachers above all. Without them, Bridges and Beyond would simply not be what it is. Our educators offer passion and experience and work to instill a love of learning for all Bridgekids! The BRIDGEKIDS Curriculum was designed to impact your child socially, emotionally, physically, and intellectually. Bridges provides a unique preschool environment; children rotate through a series of rooms or areas throughout the day. Each space is designed to meet a specific educational goal. We find that transition among spaces is great for the kids. They have an opportunity to enjoy several environments throughout the day and learn to respect our belongings and consider others as we tidy up before each transition. The WELCOME ROOM is our gathering area. Upon arrival, the children will store their belongings and visit with each other or choose an activity such as books, games or manipulatives. Parents are an integral part of the start of a day and are welcome inside. THINK TANK is an area that contains activities that address various early learning skills. Games and manipulatives will be available for children and will stimulate cognitive, fine motor, language and even social skills. Careful planning (based on the needs of individual children) goes into the selection and presentation of materials. DISCOVERY ZONE houses areas for block play and dramatic play, which may include a multi-cultural dress-up area, train table, kitchen and more, with offers opportunities to change and combine centers based on the children’s interest and monthly themes. Children are able to expand their fantasy play due to the overlapping of these popular areas. The ATELIER, an Italian word for “little art studio” is the heart of our program. Here, the children will explore a variety of art mediums and sensory materials. They will have access to materials that promote early literacy interest and skills as they experiment with their creative sides. 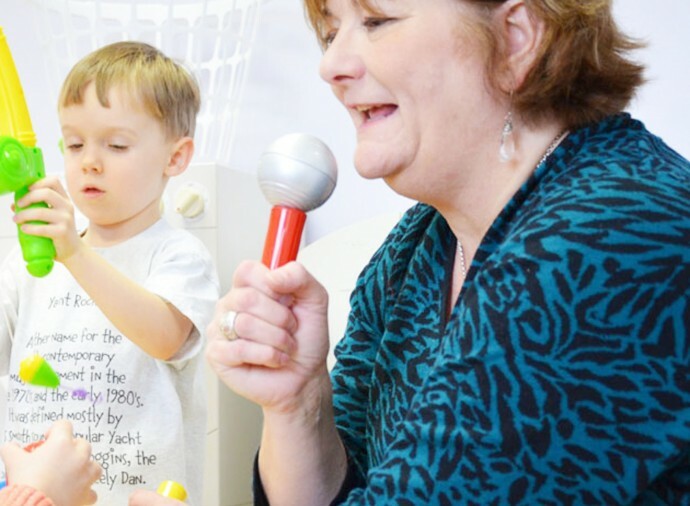 The RAINBOW ROOM implements music and movement activities along with song/group and story time. This area also offers a “cozy area” for reading or relaxing. We are especially excited to offer an OUTDOOR PLAY area! We want children to explore and direct their own play as much as possible. Watch the endless possibilities as we develop this area into an imaginative and “natural playground” that encourages not only Gross Motor development but so much more! Kids love learning just as much as they love having fun. So at Bridges & Beyond, we're always doing both. From small moments to big milestones, our curriculum is customized to nurture every child every day. Community Helpers Day @ La Foresta in Wake Forest!